A combination of double and single track on loose shale in places with climbs and descents. 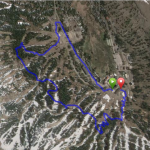 Stop by Kirkwood Mountain Sports at the Village and get a trail map, local knowledge and bike rentals if needed. 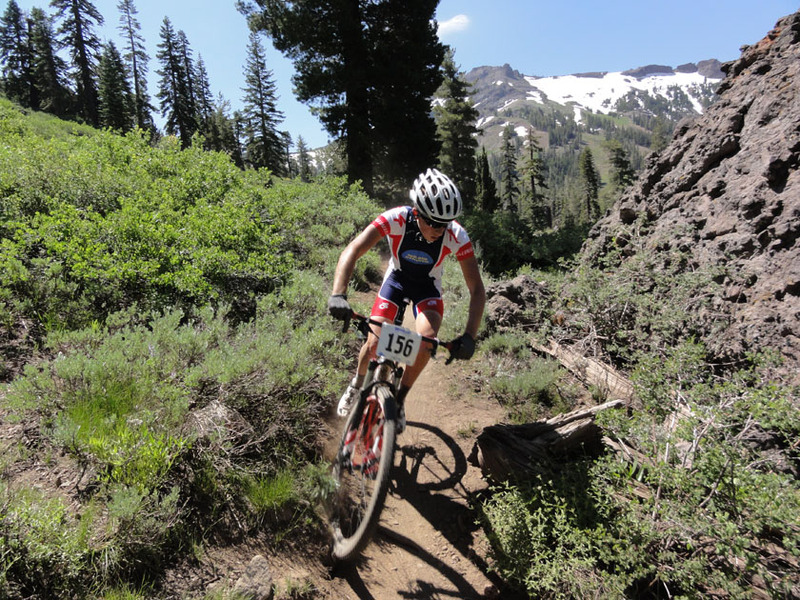 During the summer months, Kirkwood operates two chair lifts that can take mountain bikers and hikers to Caples Crest. 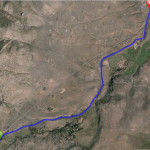 This is a Cross Country ride. Starting from the Village, you begin your ride on a double track (Snowkirk) heading south toward Thimble Peak (9,876’). 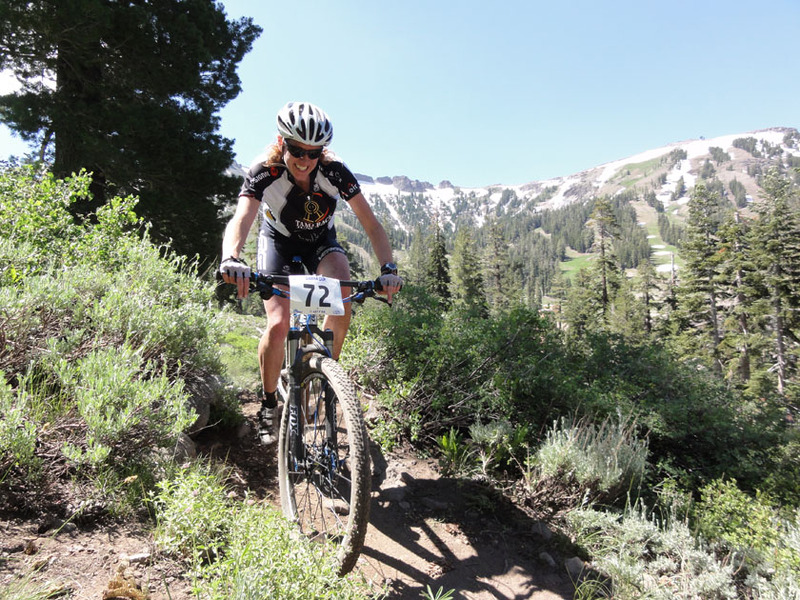 You will be riding at the base of the Cirque in a beautiful boxed canyon on a single track (Upper Corral) crossing small creeks and meandering through the forest until you reconnect to the double track again. Here you will turn right on the double track (Caples Crest) and begin your climb to the crest of the ridge where you can experience great views. Looking eastward you can see Caples Lake and Round Top Peak (10,381’), and to the west you will get a panoramic view of the entire Valley and the Kirkwood ski resort layout. Carson Pass was named after Kit Carson, the scout and guide for John C. Fremont an Army officer commissioned to explore and map the western states in 1844. On February 2, 1844 Fremont and Carson were the first Euro-Americans to spot and record their sighting of Lake Tahoe from high above Red Lake Peak. They entered Alta California, then a province of Mexico, and was ordered to leave by the Mexican Government. It was believed President Polk wanted Alta California for the U.S. Upon their return over the Sierras, they forged a new route, between Sacramento and Genoa, and Fremont named it after his scout, Carson. Carson Pass was part of the Emigrant Trail. In 1849, Dr. James Caples passed through this area on his way to the Gold Country. After a brief stay in old Hangtown (Placerville), Caples remembered this lake and returned there with his family to establish a way station that served weary travelers for 30 years. Later, a Mormon Battalion in 1852 was seeking a new route from Placerville to return to their station in Genoa and it became an important freight route for transporting supplies for the mining operations on both sides of the Sierras. That trail is now a paved road, Mormon Emigrant Trail, connecting Carson Pass (Hwy 88) with U.S. 50 near Placerville. It passes by Jenkinson Lake and can be used as an alternate route during the summer as it is closed during the winter months.